Qiviut (or Qiviuk) fiber is arguably the most fine, warmest, and most expensive fiber in existence. 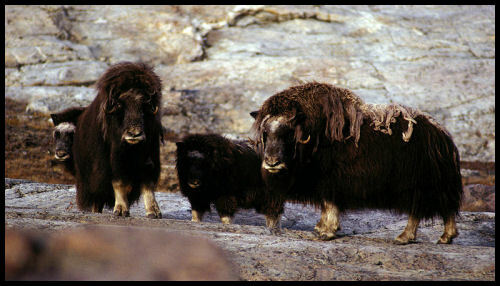 It comes from the musk ox which can only survive in colder climates due to its primitive digestive and immune system. Processing the fiber is quite intensive due to the fineness of the fiber, short length of the down, and extreme length of the guard hairs usually present in the raw fiber batch. Averaging 18 micron and below, and only 1.5 to 3 inches long, great care must be taken to process this fine fiber correctly. Our equipment and expertise allow us to process your Qiviut fiber into an exceptional lace weight yarn.